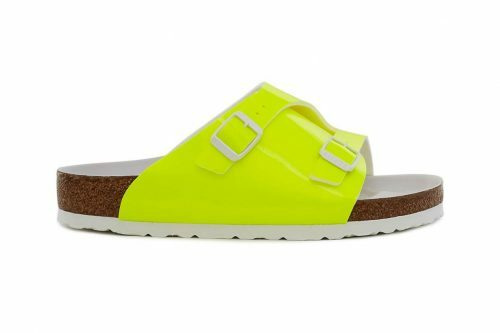 The collaboration between Opening Ceremony and Birkenstock is back this spring season with slippers in a variety of fluorescent shades.. The patent birko-flor slides are available in three colorways: pink, green and yellow. Its upper is cinched closed with two white buckles sitting atop a leather-lined footbed. 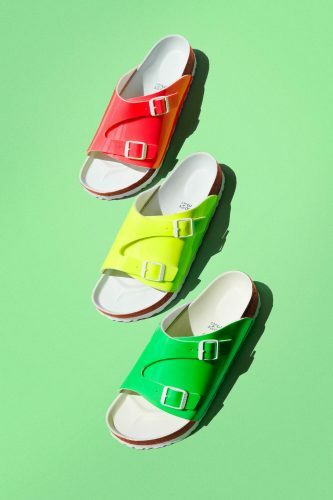 You can shop the Opening Ceremony x Birkenstock collection from OpeningCeremony.com. Remember to join Buyandship to take advantage of free shipping within the US for all orders over USD $100.